and spirit. With over 15 years of experience in the healing arts, Ana Maria Pineda, a certified Angel Therapy® Practitioner by Dr. Doreen Virtue and Certified Reiki Master will guide you into a deeply soothing treatment which can transform your life and consciousness! All healings are by appointment only. Experience a powerful healing session with Ana Maria today! Channeled Energy Healing from your Angels! Ana Maria is a natural-born clairvoyant and healer. Your Guardian Angel and Healing Guides work directly with Ana Maria to provide you with Energy Healing specially for you. This Energy Healing Treatment helps to clear, balance and heal all levels of consciousness: physical, mental, emotional, spiritual and etheric. It helps to balance and align your chakras and aura. Promotes deeper connection and communication with your Soul and Angels. Helps to relieve stress and receive even more peace, love, harmony and Divine Assistance. Feel deep peace, relaxation and clarity with this powerful and unique healing treatment. Receive healing special messages from your Angels as well as Soul Healing Energy during this unique healing treatment! Reiki is an ancient Japanese healing modality for stress reduction and deep relaxation. A Reiki Treatment involves lightly laying on of hands on a fully-clothed body. You will lay in a comfy Reiki Table as soothing sounds play in the background. A deep sense of tranquility will soothe stress as a gentle warming of the practitioner’s hands travels through your body, melting all worries away. Experience a powerful healing session with the ancient healing techniques of Reiki and the Angels. Reiki is a powerful Soul Healing modality based on ancient teachings from Japan and Egypt, which uses specific techniques to bring your mind, body and emotions into balance. Experience a deeply profound state of peace, mental and emotional transformation and an renewed ability to receive all good things into your life today. The Akashic Records are a field of vibrational energy where all the past, present and future of you as a Soul can be found. It is the living records of the Universe, its history and its becoming. It is a powerful space of transformation and healing where your Soul's intentions can be revealed. reconnect to your Soul and its mission and purpose in this lifetime. Transform deep energies within you that are not part of your Soul's intention, parts that are ready to be healed, transcended, transformed and transmuted. Align your aura, chakras and total vibrational energetic field of your Soul, Personality, Body, Mind and Emotions to receive the higher qualities of light and energy healing available to you in this lifetime. Let go of limitations and expand your consciousness today, to manifest all that you can be in this lifetime. “BodyTalk is a simple, safe and astonishingly effective system of integrative health care. BodyTalk is a holistic approach to healing, based on principles of energy medicine. BodyTalk helps synchronize the body’s natural functions - to achieve and maintain healing and growth on all levels: physical, emotional, mental and spiritual. -Clearing past and present emotional blockages including specific phobias, fears, etc. -Promotes stress management, health and prevention of dis-ease. Experience inner balance and profound healing at all levels of consciousness...transform your life today! By agreeing to use the services of Ana Maria Pineda you agree that you have read and understand that all information is subject to the service recipient’s interpretation. Ana Maria Pineda will not be held accountable for any interpretations or decisions made by recipients based on information provided during readings. All services provided by Ana Maria Pineda are for entertainment purposes only. All information and/or advice given to you by Ana Maria Pineda should not take the place of any medical, legal or financial advice given to you by any qualified professional. ​All sessions and services by Ana Maria Pineda are not a substitute for medical, legal or financial advice. You must be 18 years of age to use any service provided by Ana Maria Pineda. Ana Maria Pineda also reserves the right to cancel and/or reschedule any service as well as refuse any client who is belligerent, abusive, non-paying, harrasing, late, disrespectful, threatening, offensive and/or who use inappropriate language or behavior. Cancellation Policy: To honor your time, my time, and other clients, I ask for 48-hours notice. If you cancel your appointment with less than 48-hours notice, or do not show up, you will be charged 50% of your appointment fee. No Refunds, no exceptions. Healings, Services are available in-person/telephone/Skype/email. Specials, discounts and offers cannot be combined. These terms and conditions of use are subject to change at anytime and without notice. If you don’t agree with the cancellation policy, disclaimer and/or terms and conditions, please find someone else who may help you. 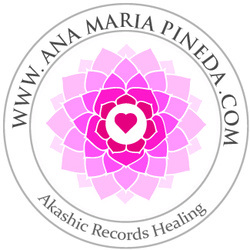 By scheduling a session/ class/ workshop/ event/ psychic reading/ healing/consultation and/or appointment with Ana Maria Pineda and/or AnaMariaPineda.com and/or other affiliated websites owned by Ana Maria Pineda, it is understood that you fully acknowledge, understand and agree the disclaimer, cancellation policy, terms and conditions as stated here. ©2013-2014 Ana Maria Pineda. All rights reserved.